DIVORCE LAWS VARY BY STATE. 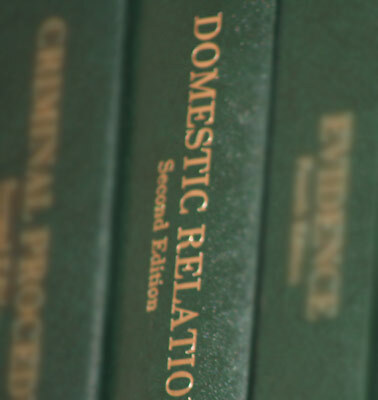 Title 31 of the Ohio Revised Code outlines the domestic relations laws in Ohio. These laws are extremely complicated and detailed. It is always advised to seek counsel from an experienced divorce attorney. However, a general outline of the divorce laws in Ohio is presented below for informational purposes. Chapter 3101 / Marriage contains the Ohio laws on who, when, were, and how a person may be married. Chapter 3103 / Husband & Wife lists the obligations, duties, and rights of both the husband and wife within a marriage. Chapter 3105 / Divorce, Alimony, Annulment, and Dissolution of Marriage sets all Ohio divorce rules including when, where, why, how and why a person can seek a divorce in Ohio. Chapter 3109 / Children specifies the parental rights and responsibilities which include custody and visitation rights. Chapter 3111 / Parentage defines the parent-child relationship including paternity determination and dispute rules. Chapter 3119 / Calculation of Child Support – Health Insurance outlines all Ohio child support laws specifically how child support is determined / established. Chapter 3121 / Collection and Disbursement of Child Support encompasses specific rules on how child support is collected in Ohio. What: In order to initiate a divorce in Ohio, the Plaintiff (person filing for divorce) must file a complaint with the court pursuant to section 3105.17 of the Revised Code. The complaint is a legal document that initiates an action under the laws of Ohio. When: A divorce action can be filed at any time the Plaintiff has been a resident for the State of Ohio for 6 continuous months, as is established in R.C. 3105.03. Where: All divorce actions must be filed in a county common pleas court as established through R.C. 3105.011. Rule 3 and Rule 75 of the Ohio Rules of Civil Procedure specify which county is the proper location to file a divorce action in Ohio. Most commonly divorce cases are filed in the county where either spouse resides, but there are other counties that may properly hear the case, as well. Why: Section 3105.01 of the revised code sets out the laws in Ohio as to why a person can file for divorce (link to our grounds for divorce page). Most commonly an action is filed because the spouses are incompatible, but can include many other grounds such as adultery, extreme cruelty, and living separate and apart for over 1 year, just to name a few. How: Once a complaint is filed, your spouse must be served notice of the filing. Title II of the Ohio Rules of Civil Procedure governs how, when and where your spouse may be served this notice. Most common methods of service are through certified mail or through the use of a process server. DIVORCE IS A DIFFICULT SITUATION. Attempting to handle the emotional and financial stress is enough. The use of an experienced divorce attorney/lawyer can make all the difference. We understand the divorce laws in Ohio. We will be able to navigate the legal system and provide you with the best opportunity to achieve your desired goals. This will allow you to focus on healing and moving forward with your life after such a traumatic time. Contact one of our divorce attorneys today and have your Ohio divorce law questions answered today. As always, we provide you with a free telephone consultations. You have nothing to lose and everything to gain by calling our office to determine your rights and responsibilities when it comes to the termination of your marriage.